Those who believe Robert Mugabe should be punished for crimes against humanity and stand trial, I agree with you. If you believe that then you must believe the same for the number one henchman, Emmerson Mnangagwa. We cannot have a fresh start without a full account from Mugabe and Mnangagwa about what they did, who they did it with, and why they did it. By LEON JAMIE MIGHTI. Let me share my Zim story with you. When my mother fell pregnant at the age of 19, the first thing she did was buy life assurance. She didn’t want her only son to suffer in case something happened to her. So, she went to Old Mutual and got the best life assurance package they had. I sometimes see those adverts in the morning and think of it. Pay such and such at 20 and get R3-million if something happens. My mother never thought that she would only live to be 29. She passed away so suddenly. There was a big fight for custody and perhaps even because of that life assurance policy. When it was all over we were well into the post-2000 Zimbabwe. That funeral policy ended up being worth less than the amount of taxi fare it cost to travel to the bank. My mother worked all those years for nothing. Think about that for a second if you are a person who pays life assurance today. Politics can mess up your bank balance and wipe away a lifetime of sweat and tears. That’s how I was personally affected by the Mugabe era. When I, like millions of others, ran away to try to pursue my dreams elsewhere. I had nothing. I struggled to pay for my fees at Wits. I was homeless for years and watched my peers graduate and buy cars while I stood selling earphones on the university library steps. I left Zim back then because I had nothing, I wanted to be somebody and have something like the boys in my classes at CBC. I left Zim coz of the poverty I was tired of breathing every day. I left Zim because I wanted to be a doctor so badly but I didn’t have a chance in Zim (my marks were good but not good enough) at the one medical school that was present at the time. Only 200 could make it in and there was no graduate entry programme. When my father died he was a plumber for the national railway services, the NRZ. He was a foreman and was damned good at what he did. One of my uncles (his cousin) loved to mock him for being a handyman but he loved that job and the dignity it offered him to provide for his family. When he passed away he died a pauper. He was making less than R500 a month – when the government chose to pay. I will never forget how we had a big fight the day when he told me he could not afford to pay the application fee to Wits. I am ashamed of that day because I blamed him for something beyond his control. I am ashamed of that day because I was ungrateful and I ignored how much he had sacrificed to get me to even qualify to apply at Wits. He would do piece jobs for pennies in the many months that government did not pay. My father died still walking to work coz he could not afford to catch a taxi. From Northend to the NRZ close to the factories, in Bulawayo. If you know that area, imagine a qualified technical graduate, top of his class, a man who once managed city of Bulawayo water systems, a foreman for years. Walking to work. I tell you those true personal stories to preface this next sentence. I haven’t shared how one of my grandmothers told me horror stories about some of what happened to her friends and family during Gugurahundi (the notorious massacres). She used to cringe when she saw that mass murderer on TV speaking as if he was God’s gift to Africa and Zimbabwe. I hate him so much I have obsessed over him, studying him, studying his rise to power and how he was able to destroy so many lives. How could one man do this. It was at that point that I realised he was NEVER ACTING ALONE. I know that he did not do what he did alone. He had some people co-starring with him in this movie of Evil that we have all been watching since 1979. Joshua Nkomo warned people back then not to vote for an Idi Amin. He meant Mugabe, he had seen enough to make the conclusion; they say character is prologue. So today I want to caution against dancing in the streets for the next Idi Amin whose governmental and leadership CV is as horrific as that of Mugabe, the number one disciple of Mugabe for 41 years. The co-star of the Robert Mugabe show. Mr Emmerson (Crocodile by reputation) Mnangagwa. If I hate Mugabe, I must also hate this man; there is no Mugabe without Mnangagwa. Two sides of the proverbial coin. I am a trained debater, since 2005 when Mr Musambasi gave me a chance. These years of debate training have made me a very analytic type of person and I look at the world through that frame of mind. It has made me follow the advice of Bob Marley very carefully, you remember what he said, “Don’t let them fool you, don’t let them school you, you got a mind of your own”. I follow that advice daily. But over and above that, I was the top history student at Marist Brothers Secondary school in Dete for two years in a row, Form 3 and 4. I loved how Mr Masuku taught the subject. I have been studying history non-stop ever since and I think one day I will study it via correspondence just to get the degree. Those two aspects of my past history, specifically my passion for debating and my passion for history, make me acutely aware of how we got to this point as Zimbabweans. Of how Mugabe was able to do all these things. While he was the leader of the band, many people played in that band to help make his greatest hits. One of those people was none other than Emmerson (Crocodile by CV) Mnangagwa. Let’s go through them carefully. When there was voter intimidation in the 1980 elections in the rural areas, Mnangagwa was involved in that. This is what led Nkomo to warn people that Mugabe was an Idi Amin. His sidekick was Mnangagwa, by his own admission. When Gugurahundi happened, the tribal consolidation of power by Mugabe, it was Mnangagwa the Crocodile who was overseeing the 5th Brigade’s work as Chairperson of the Joint Command. More than 20,000 innocent civilians were killed by these two men for being Ndebele and nothing more. If Mugabe has blood on his hands, Mnangagwa has blood on his hands and feet because he was right in the middle of that. People talk about rigging of elections by Mugabe – well, guess who was in charge of the Zanu campaign nationally when that rigging happened? None other than Mnangagwa. 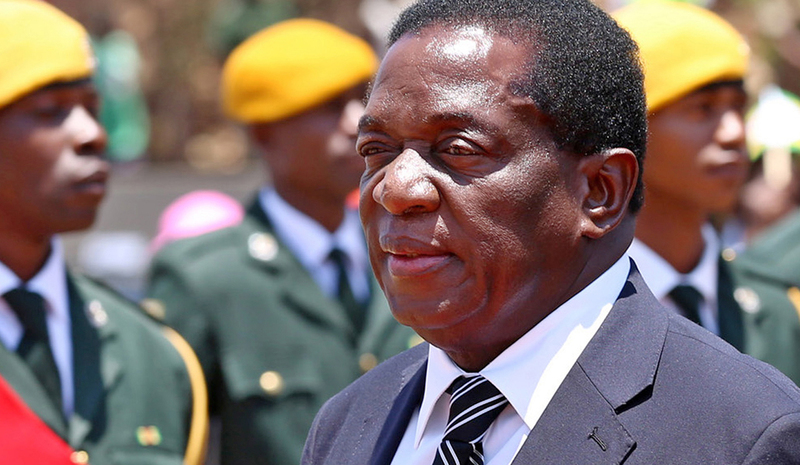 In the last seven years, Mnangagwa has shown how ruthless he can be. When he was Minister of Defence he took on his long-time rivals for power. The Mujuru family. They had to be eliminated, so what did he do? He went back to his murderous ways. He and Mugabe orchestrated the death of (Zanla guerrilla commander) Josiah Tongogara after all. He went first for the most feared man in the country by reputation. That man was the husband of Joice Mujuru. Rex Nhongo. General Solomon Mujuru, who had run the army for more than a decade. Mnangagwa had that man assassinated. His style is unmistakable, same as when they got Tongogara. Always some accident that just doesn’t add up. That’s also how they almost killed Morgan Tsvangirai; they failed and got his wife instead – remember how Mugabe said the accident was the hand of God? Which thug do you think was behind that assassination attempt? The man of the moment himself, Emmerson (My nickname is not a joke, I earned it the old-fashioned way) Mnangagwa. Then he went for Joice with the help of an unwitting political novice, Grace Mugabe. Recall how Grace started saying Mujuru was a whore and she was trying to kill her husband? Mnangagwa was part of that whole game. Joice Mujuru pointed out that these were crazy allegations by a stupid woman; however, she did not make it. She was kicked out of Zanu-PF and the vice presidency on 9 December 2014. The very next day on 10 December, the Crocodile collected his reward. He was appointed one step closer to his dream of being president. He was appointed vice president as illegitimately as she was kicked out. Now he says Mugabe must not use Zanu as his personal property – he never said that when Joice was wrongfully kicked out. In fact, there are so many videos of him saying that’s what happens in the party, you get kicked out, and you must accept. Only this year does he realise how wrong it was to say that. Only now that it’s happening to him does he want to save Zimbabwe from the Mugabe dynasty. The Crocodile Mnangagwa is the first-born political son of Mugabe who wants to be just like his political father. For this zealous first disciple to ascend to the presidency is the continuation of a Mugabe dynasty. Like father, like son. How is he saving us from a dynasty? He is the dynasty of Mugabe-ism. You know one of the things that Jesus hated the most – hypocrites. Those Pharisees and Sadducees. Mnangagwa is a Pharisee, Chiwenga is a Pharisee. Everything that Mugabe did to Mnangagwa in 2017 he did to Mujuru in 2014. Where was Chiwenga then to protect the revolution? Where was Chiwenga then to drive out criminals around Mugabe? Where was Chiwenga then to address the economics and social crimes? Chiwenga was nowhere because this has never been about those stated objectives. He was nowhere because he was loyal to a different horse. He was loyal to the man who got rid of his military rival, Rex Nhongo. So having said all of this we have to truly consider if this is a #Freshstart for Zimbabwe? Those who believe Mugabe should be punished for crimes against humanity and stand trial, I agree with you. If you believe that then you must believe the same for the number one henchman Mnangagwa.We cannot have a fresh start without a full account from Mugabe and Mnangagwa about what they did, who they did it with, why they did it. Until those people in those “affected” areas are made whole. Until they receive justice and closure.It was not a moment of madness as Mugabe and Mnangagwa have said on record, it was an intentional, calculated mass execution on ethnic grounds of innocent civilians. To put it in perspective, 30,000 lives were lost in the fight for independence, and just three years after getting it more than 20,000 people never lived to see it because Mugabe and Mnangagwa had to settle a tribal score with Mzilikazi and Lobengula. For those who believe that Mugabe must account for all the farms that ended up belonging to his wife and not the people, Mnangagwa must account for the same corruption, he owns many farms too, and so do many military generals. The economic and social crimes that they see all of a sudden, both the Lacoste faction and the G40 faction committed those crimes against the dowry of Chimurenga that is not theirs to self-appropriate.Mnangagwa must explain what happened to the 15-billion. Is this what he used to pay the army for its loyalty? Those are blood diamonds, for sure. For those who say Mugabe has been rigging elections, has been suppressing rights of the people to movement, to free speech, to fair trial. To all those people I say you are absolutely right. Mugabe did all those things, and he did them with Mnangagwa. Who helped Mugabe arrest journalists and activists, where is Dzamara? Mnangagwa must tell us where they buried him. The root cause of all problems in Zimbabwe is not really a man. It is actually a system of military dictatorship. Mugabe was the public face of a militarily controlled state. Zanla has been running Zimbabwe and continues to do so today. All of the things that Mugabe did to the people of Zimbabwe he did because the army was doing them with him. Gugurahundi, intimidation, rigging elections. Those were the symptoms of the affliction. The trick was to keep people thinking that they were in a democracy even while the army was making sure only it could choose who ran Zimbabwe. Mnangagwa is the new public face of Zanla. There is no national army in Zimbabwe, there is a liberation army that still meddles in Zanu internal party matters. They proved that last Wednesday. The army does not trust Grace to take care of them, or to preserve their way of doing things. This is the real reason they want her out, not because they care about the economy, not because they care about social issues or civil rights. I am hearing people saying that this is a renewal of the Zanu-PF, that it’s a fresh start, it’s change and we need change. I used to have a six-pack, now I have a cooler-box belly; yes, I changed but my doctor is worried coz that change is killing me. I did not change for the better. I hate Mugabe so much. I do not want another Mugabe. This whole thing reminds me of when a snake sheds its skin, a green mamba, a python. They shed the skin because it has become old and useless. They scrape their bodies on bark and boulders, to remove this old skin that can no longer stay awake all day, this skin that builds slanting statues. They shed the skin because it forgot whose body it was attached to and chose its wife over its blood brothers. The green mamba sheds its skin because the new skin is tired of waiting for its turn to sleep in the state house sheets, to be the boss. The python sheds its skin to prepare for a new era of suffocating unwitting animals and humans who step into its way. When a snake sheds its skin, it is not a new snake. It is the same snake. Still poisonous, still a vicious killer. Still something that you must crush with your feet, as the Bible said. The Zanu-PF is not changing and renewing, it is simply shedding its old skin. I am not scared to say these things. My headmaster’s colleagues and teachers will tell you how many headaches I gave them because I was always speaking up, as a teenager I spoke up for stupid things. Back then I was just loud-mouthed by nature and because I was a naughty kid. Now I am saying this because I believe it needs to be said. What more can they take from me, this military dictatorship? I have already lost the two great loves of my life, my mother and my father. They died chasing smoke because Mugabe and Mnangagwa were ruining the country. So, if the army wants to come for me, go ahead. Nkomo once advised us not to vote for Idi Amin – he was talking about Mugabe, and many people ignored him because they were caught in the moment and they ignored the signs. The signs are all over the place in respect to this man Mnangagwa. He is another Mugabe. The problem in Zimbabwe is that it is a military dictatorship. You don’t solve a military dictatorship by imposing a military dictatorship. To truly change Zimbabwe, we must implement electoral reforms that will allow for a civilian multiparty democracy.